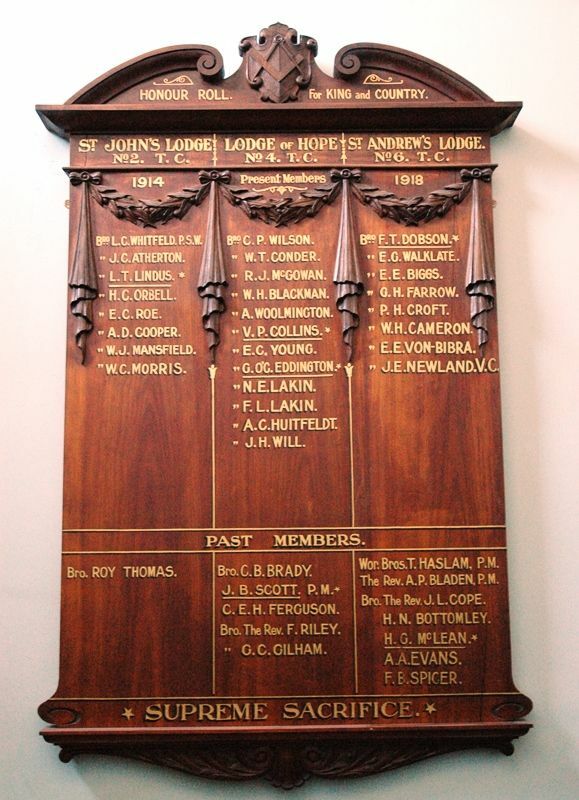 An honour roll commemorates members of the Launceston Masonic Lodges who served in World War One. It lists 41 names. St Johns Lodge No 2 T.C. Lodge of Hope No 43 T.C. St Andrews Lodge No 6 T.C.